The story of broken flower pot and how has become the hottest news in Germany and outside. If the largest social network is Facebook, than is Twitter definitely the most influential. It establishes trends and nowhere else can spread news as fast as here. A Twitter community does not like forcing something to be trend, but likes very much making trends. It’s an excellent environment for viral marketing, but you never know how the community reacted, but if it reacts positive, thanyou have a hugh success and fame. Community is also known to release real news as fast as it release false news and prankes. So it often spreading news about death of celebrity and then it turns out that this person is very alive. They often like to “kill” Britney Spears, death of Michael Jackson and Brittany Murphy for example expanded very rapidly – for both deaths I heard from tweet-s.
Last week became a trend topic in Twitter community, you will not believe me, blumenkuebel. What the hell is that? Flower pot translated from german language. Well, to be more precise, it was much ado about cracked flower pot. 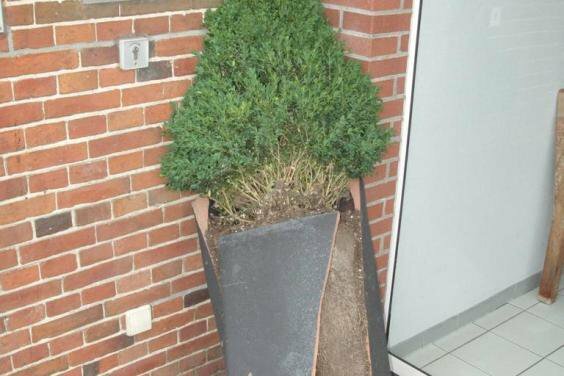 On 3rd of August a local German newspaper Muenstersche Zeitung published online news how anonymous overturned one of the flower pots, which then burst, in a front of the house of senior citizens. This article was written very emotional by young journalist who was just starting her first week ever in jurnalisem. The nex day newspaper editor tweet about news and some followers retweeted. Becoming trend topic in Twitter must have Facebbok fan page which has now (11.8.2010) currently 10.291 fans, you can buy Blumenkuebel R.I.P. T-shirts, whatch video parody, tradeers exploit populartiy of flower pots for advertising their products such as Otto, spammers also exploit for their reasons … One company finaly remembers victims and donated 2 new flower pots and tv stations where there again. Twitter has once again demonstrated how unpredicatble it is, all this noice around broken flower pot drove us in good mood for several days and a young jurnalist came into history not only of her local newspaper, but also of Twitter and internet history. Previous PostIs your Siemens SCADA system secured enough?